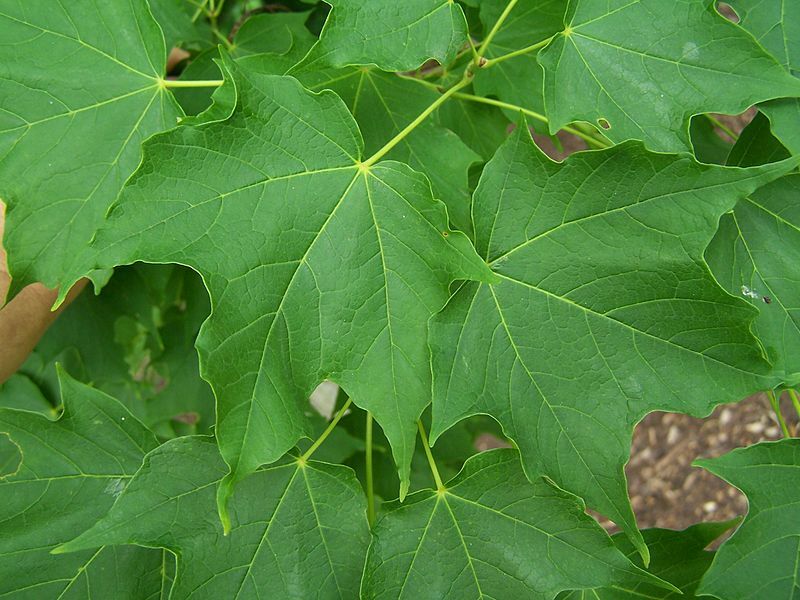 Sugar Maple is a slow-growing, medium-sized deciduous tree that can tolerate shade. Non-descript, greenish flowers bloom in April, followed by maple fruits (double-winged samaras). The impressive fall foliage offers brilliant yellow and orange colors. 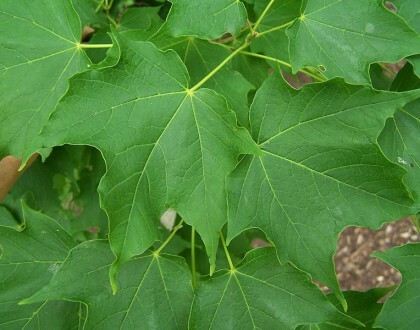 This species is the main source of sap for the production of maple syrup. 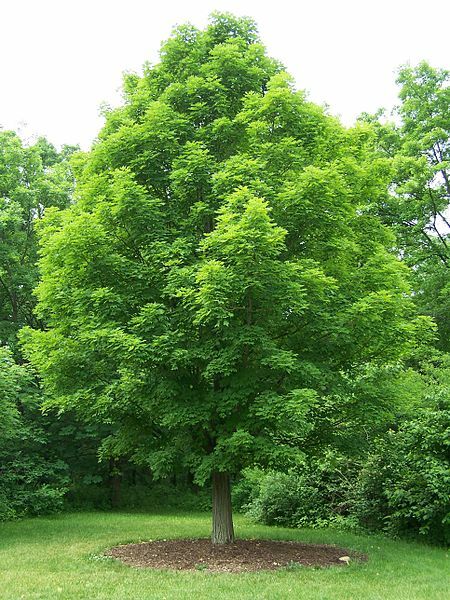 Use as a specimen tree or shade tree in the yard. It is intolerant of road salt and soil compaction, so avoid planting in areas with those challenging conditions.